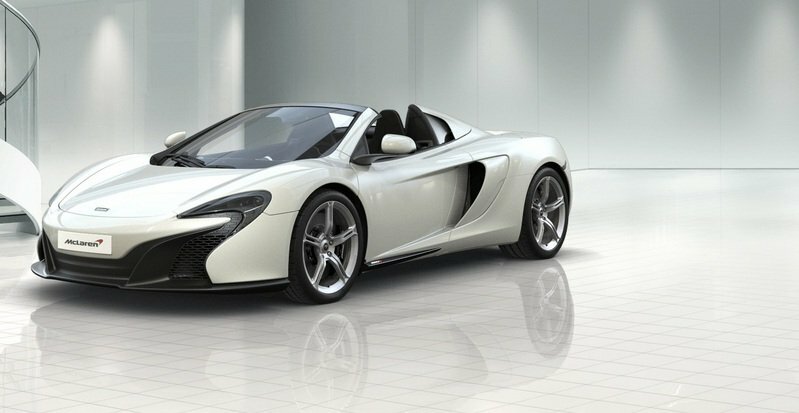 Good news for those of you who can waste spend enormous blocks of time crafting the perfect machine within the interactive confines of online car configurators — McLaren’s 650S Spider configurator just went live. But before you go building your own mid-engine supercar, check past the jump for all the nitty-gritty details regarding the configurator and the various ways to construct a 650S Spider. The configurator is pretty intuitive and simple to navigate with six main categories — paint, wheels and tires, exterior, interior, equipment, and summary — stacked vertically on the left. Each category has sub categories that list the various choices available for the car. Make sure you select your location, though, as a right-hand-drive 650S with an Italian-language infotainment system and owners manual won’t do you much good Stateside. Once complete, you can download the build sheet for your specific car, complete with color choice, options and detailed specs. 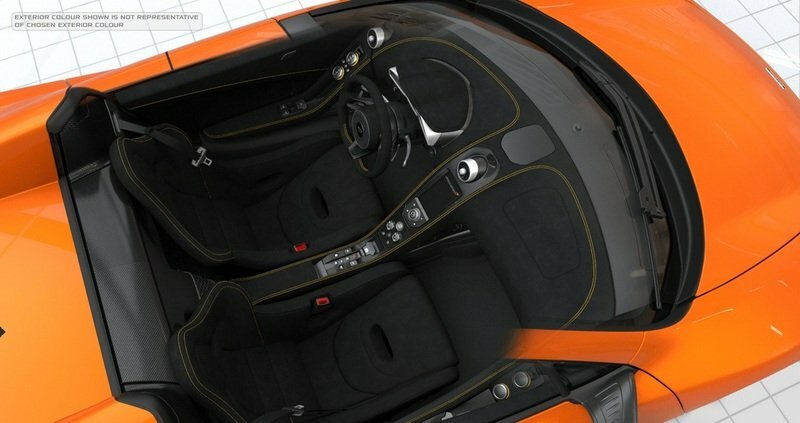 Even if you’re only dreaming, McLaren’s configurator is a hoot to play with. Click past the jump to read more about the McLaren 650S Spider. The 2015 McLaren 650S Spider is a formidable track machine with the heart of a purist’s race car, but it’s filled with modern conveniences like navigation, climate control, and now a removable top. Just like its coupe counterpart, the 650S Spider is built from a carbon-fiber MonoCell chassis with a mid-mounted, 3.8-liter turbocharged V-8 making 640 horsepower and 500 pound-feet of torque. 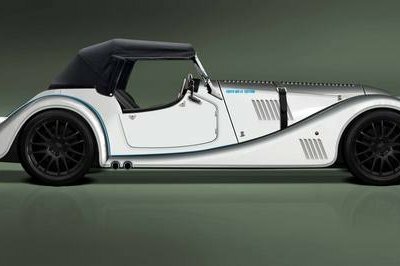 Though a mechanical hardtop is used, only 88 additional pounds are added, thanks in large part to the MonoCell chassis not needing an additional bracing or structural supports to retain its rigidity. 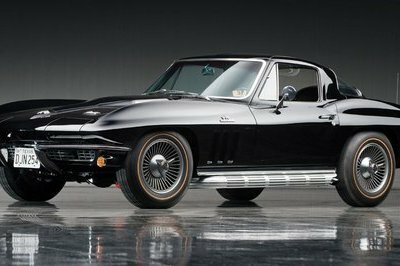 Its performance numbers speak for the level of engineering perfection: three seconds to hit 62 mph, 8.4 seconds to reach 124 mph, 25.4 seconds to hit 186 mph and a top speed of 207 mph. The biggest and most obvious difference separating the Spider and Coupe version is the mechanically operated roof. Push a button, and in 17 seconds — at up to 19 mph — the roof stows between the seat backs and engine bay for a clean look. When the roof is up, that empty space becomes a storage area, perfect for helmets, gloves or extra bricks of hundreds you’ve got laying around. Both the Coupe and Spider share a similar online configurator. Here, we’ll concentrate on the Spider and its many, many options. First up – exterior color. McLaren offers 18 different color choices on the Spider and a tidy range of wheel and brake caliper style and color options. We do find odd how McLaren only offers six choices in caliper color verses allowing customers to match their body color. Four different wheels are offered and each can be had in three separate finishes: Silver, Stealth and Diamond Cut. Two tire options consisting of Pirelli P Zero and P Zero Corsa are available from the factory. 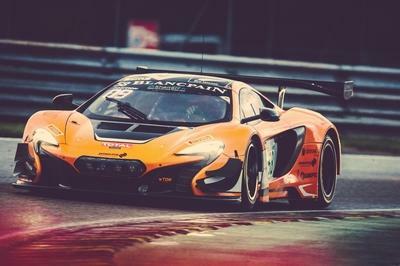 The four wheel choices are Lightweight Forged 650S, Lightweight Forged, Lightweight Forged II, and Super-Lightweight Forged. Yep, those are their creatively unique names, though their beauty far outshines any sarcasm written here. 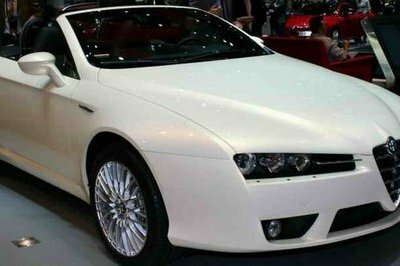 Though it’s hard to tell by the pictures, the exterior is highly customizable. 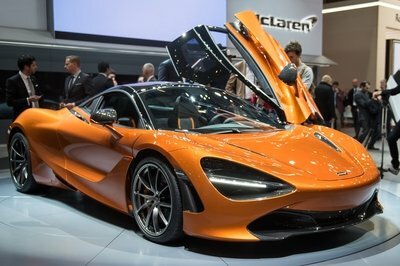 The diffuser, engine cover, wheel arches, sill panels, exhaust pipes, oil and coolant caps, front splitter, rear bumper, side intakes, lower door blades, and even the McLaren badging can be custom ordered. Most of the options boil down into whether the part is black, body-colored, or bare carbon fiber. There is a bulk carbon-fiber upgrade option that replaces the dark palladium grey pieces with bare carbon fiber on the front splitter, door blades, and rear bumper center. 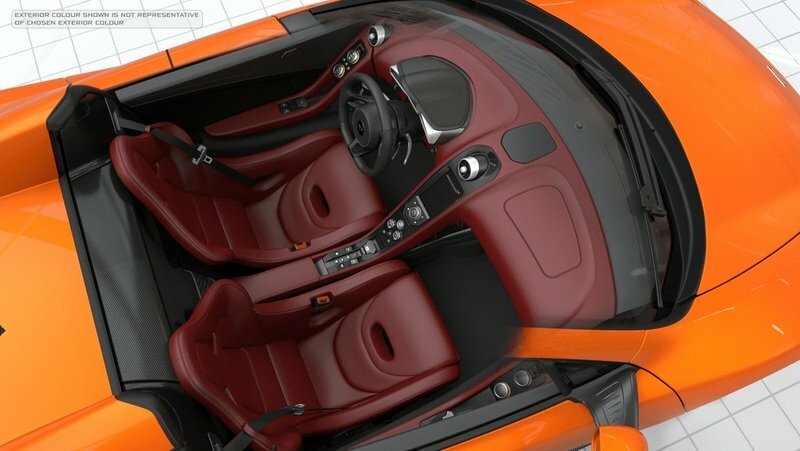 The interior options consist of six color and materials choices for the seats, steering wheel, and dashboard. There are also two seat styles to choose from – the regular touring seats and the racing-style deep bucket seats. The racing seats feature extremely high bolstering and slots for a five-point safety harness. The available optional equipment for the interior of the 650S is a short, but well-conceived list. A Meridian Surround Sound stereo system, SiriusXM, parking sensors, backup camera, tire pressure monitoring system, and the handy suspension lift system for raising the car to clear speed bumps and angled driveways. A fire extinguisher, car cover, ashtray, and branded floor mats are also available.